Oh the weather outside is frightful, but the ink is so delightful~ Okay, I’m no songwriter, but that’s not what this is about anyway. Ever wonder when the best time to get a tattoo is? Well, it depends on what you want and where you want it. Generally-speaking, Winter is best for large projects because the cooler temperature makes the healing process more tolerable. Fresh tattoos are essentially an open wound, so if you’ve got a lot of skin vulnerable, you don’t wanna be stuck in a heat wave with plasma oozing everywhere. These places are good all-year round…it’s just more comfortable to heal large pieces when the weather isn’t muggy. Hey, I won’t stop you, but I will advise waiting until it’s flip-flop season for foot tattoos, as fresh ink rubbing against thick socks all day (and probably night) aren’t gonna do it any favours. The skin is thinner in that area, making it harder to hold to begin with, so the lower down the foot we go, the higher the chance of it rubbing away through wear-and-tear, regardless of the weather. Lower legs aren’t as concerning, but if you’re likely to wear skinnies and boots…again, friction from daily movement will fade your new tattoo faster than if you wore loose clothing until it healed. …because it won’t be exposed to sunlight as often, if at all. 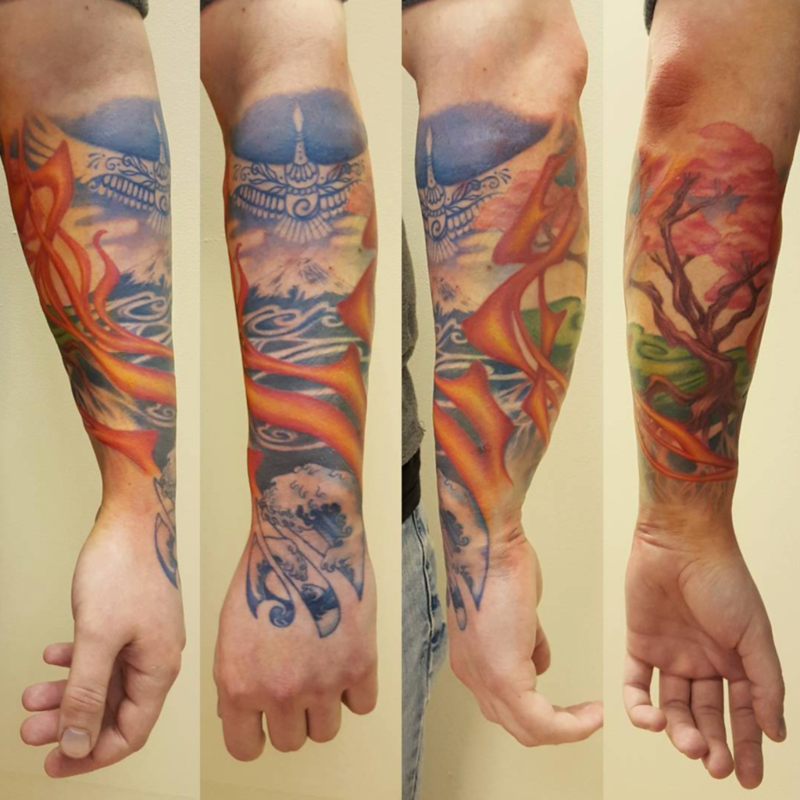 UV rays fade tattoos – especially ones that haven’t healed fully yet. Healing tattoos itch. SO. MUCH. My advice is to either pat the area or put something cold on it. The cooler environment should temper down such urges, making the process more bearable. Depending on your skin type, you may be prone to dry skin when the cold air hits it. If this applies to you, simply moisturise your tattoo when you feel is necessary so it doesn’t dry and scab up. We normally wrap up at this time of year, which means fresh tattoos would have less time to breathe. Try not to wear anything too tight around the area to avoid friction and irritation. Without a doubt, most people will join in your excitement and want to see your tattoo. Unless you’re happy to unravel layers of snuggly warmth each time, you’re better off having a photo on your phone to appease them. 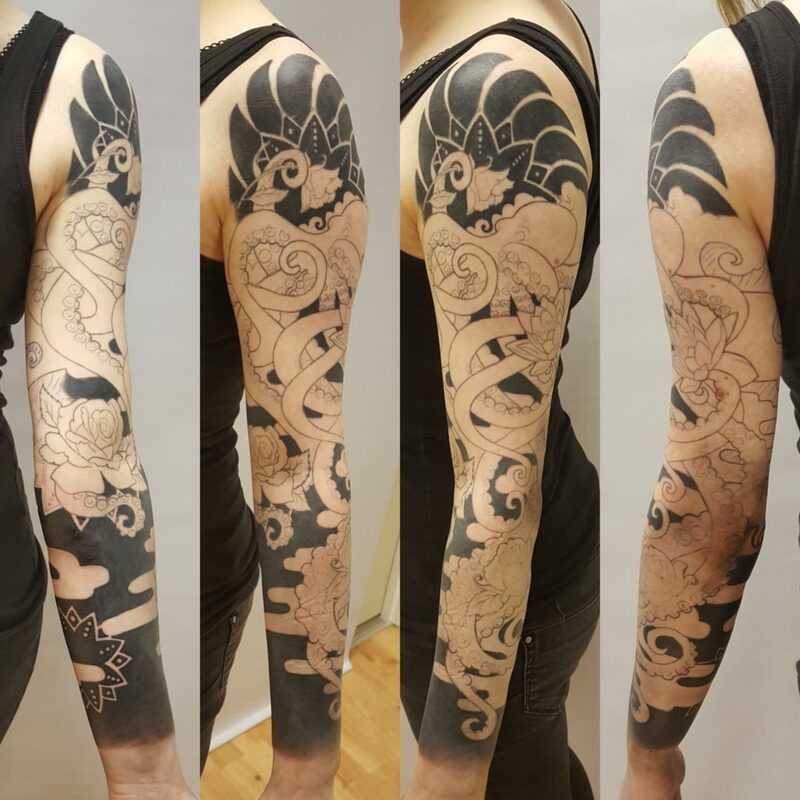 Advice, Tattoo Cardiff, Tattoo Advice. permalink.